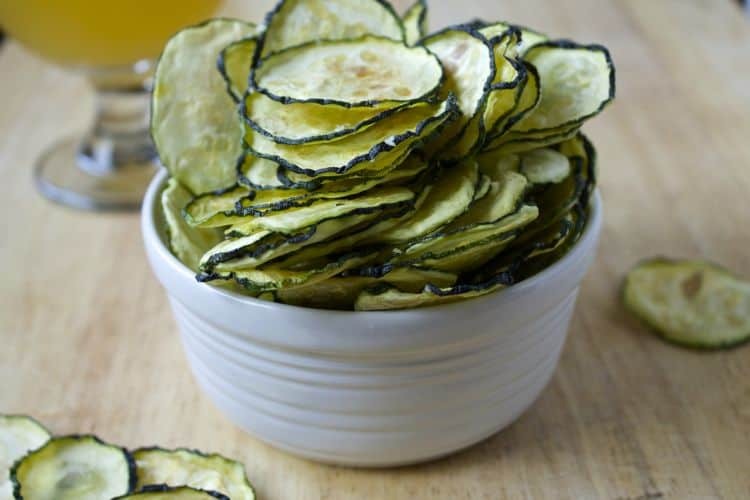 Dehydrated zucchini chips flavored with truffle oil & sprinkled with grated parmesan cheese for a nutrient-packed snack. 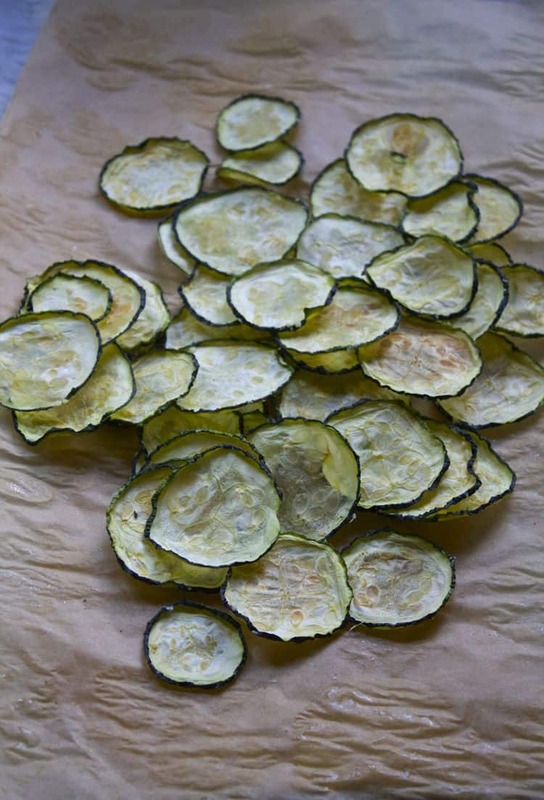 I was a little intimidated by this month’s Recipe Redux theme “Get Your Dehydrator On”. I don’t own a dehydrator nor have I ever tried dehydrating anything. But I love the idea of dehydrating to save the summer’s bounty of produce for later – anything that reduces food waste is a win-win in my book. So I was pretty pumped to take on the dehydrator challenge and put my oven on low to use. Contrary to popular belief, you don’t need a dehydrator to dehydrate food. You can dehydrate food outside in the natural sunlight or you can use your regular ol’ oven on its lowest setting. I ended up using my oven set to 100 degrees, keeping the door ajar, and positioning a fan to face the oven so that air could circulate through, avoiding any condensation. I also had way too much fun using the zucchini I got at my farmer’s market and slicing away with my mandolin. 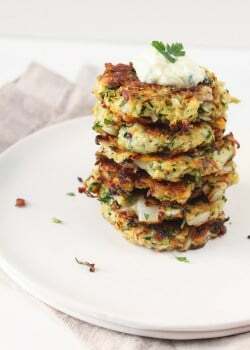 Stacks upon stacks upon stacks of zucchini. I felt like a kid playing around with my food in my kitchen. Two thumbs up for feeling like a kid again. 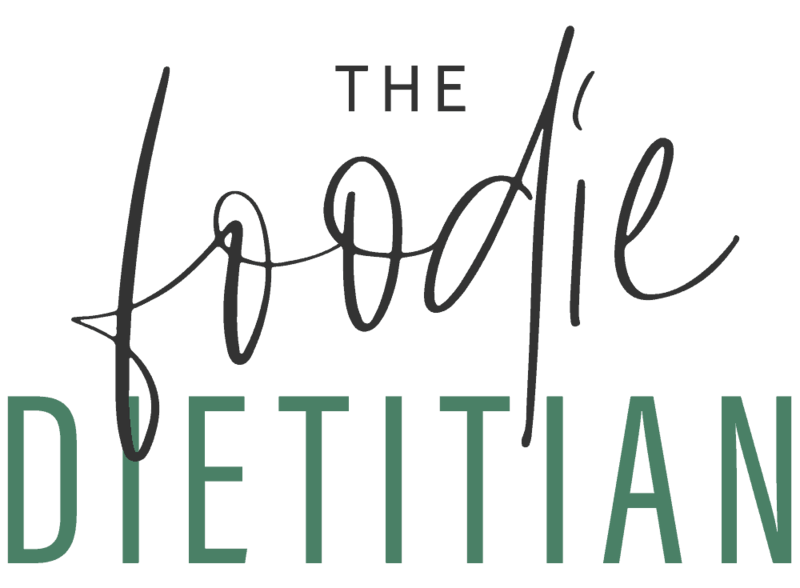 Zucchini is nutrient-packed – a great source of vitamin A and vitamin C and contains important minerals like potassium and phosphorous. Zucchini is abundant during the summer months but you should be able to still catch them at your local farmer’s market. Line 4 baking sheets with parchment paper and preheat your oven to 100 degrees F or its lowest setting. 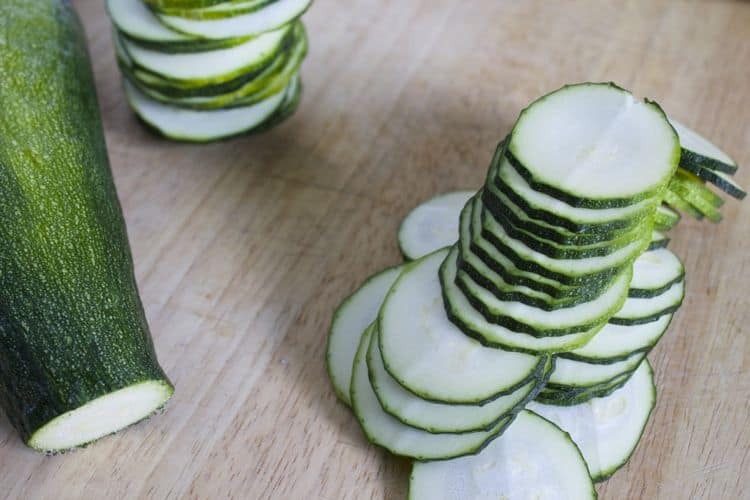 Using a mandolin slicer set to 1/8-inch thickness, slice the zucchini. 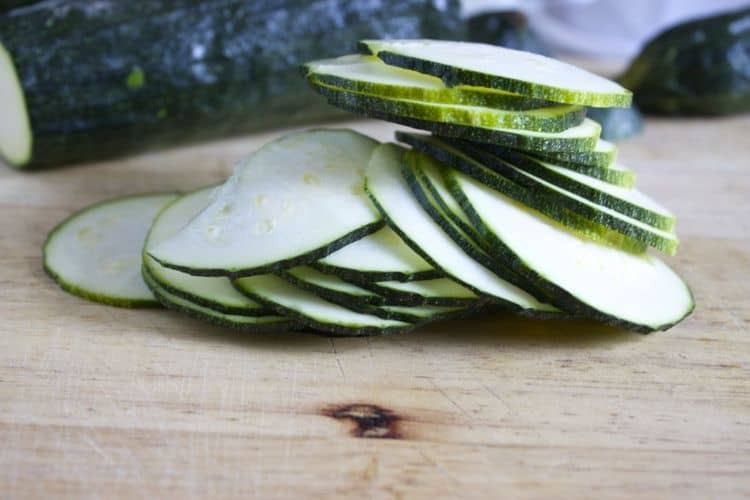 Place zucchini slices in a medium-large bowl and add the truffle oil, parmesan cheese, salt and white pepper and toss to evenly coat. Evenly space out zucchini slices on the baking sheet so that none are overlapping. 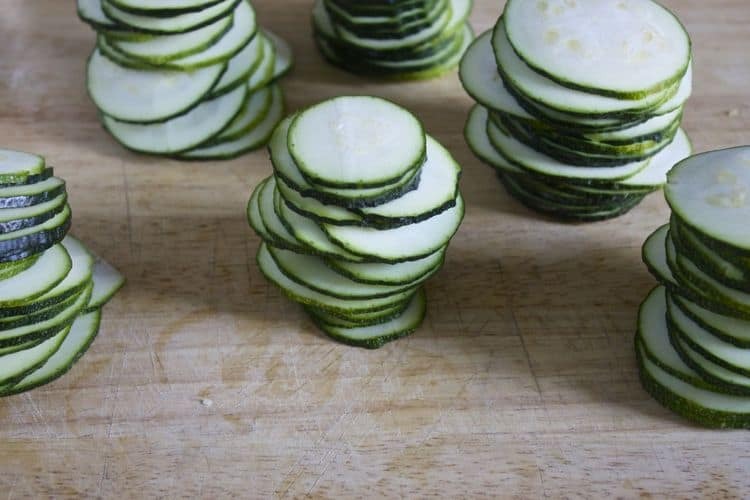 “Bake” zucchini at 100 degrees for roughly 8 hours or leave them in the oven overnight. Less is more when it comes to oil and seasoning. These slices are so thin that you want to be careful not to overdo it. I must admit that I didn’t get the “chip crunch” that I was hoping for with this dehydrated version. But I totally dug the taste and was poppin these in my mouth like they were candy. Truth be told, zucchini is not my favorite vegetable in the world (cue the gasps and jaw drops). I know, I know. 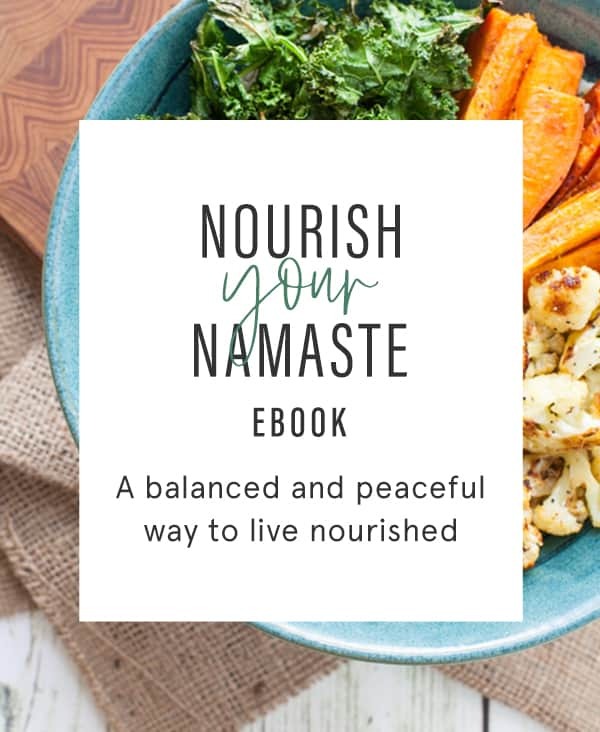 Because dietitians should love ALL vegetables, right? Wrong. We’ve got our own food preferences and aversions just like everyone else. 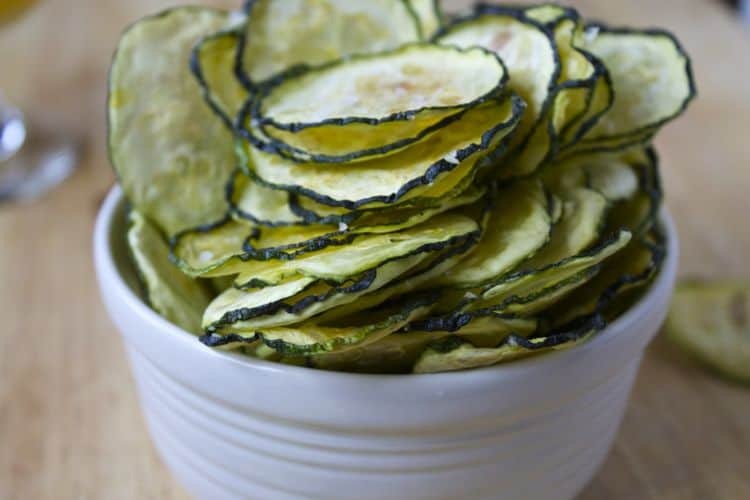 Part of the reason that I wanted to make these zucchini chips was to see if dehydrating zucchini would actually make me like it more. And the verdict? It did! 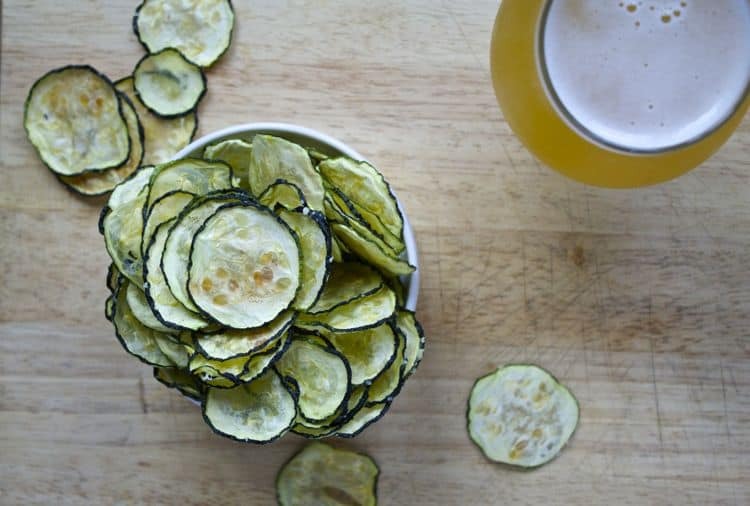 I would take this zucchini snack over sautéed zucchini any day. Rock on, makeshift dehydrator. Rock. On. Thanks, Kalee! It’s definitely time consuming if you’re just using an oven but worth it! Good to know! I will try this soon! What a perfect snack to have with a beer! Much better than real chips. Thanks for the recipe! Absolutely. A little healthy with a little indulgent. It’s all about balance ;). Pinning these right now! Will have to remember this one for the glut of zucchini which sadly has passed. Until next summer…Thanks for sharing, Deanna! OK, so I don’t own and have never really wanted one….but these chips kinda make me want to run out and get one. Yum! (and I agree, whatever it takes to make zucchini delicious (aside from bread, that is :)). 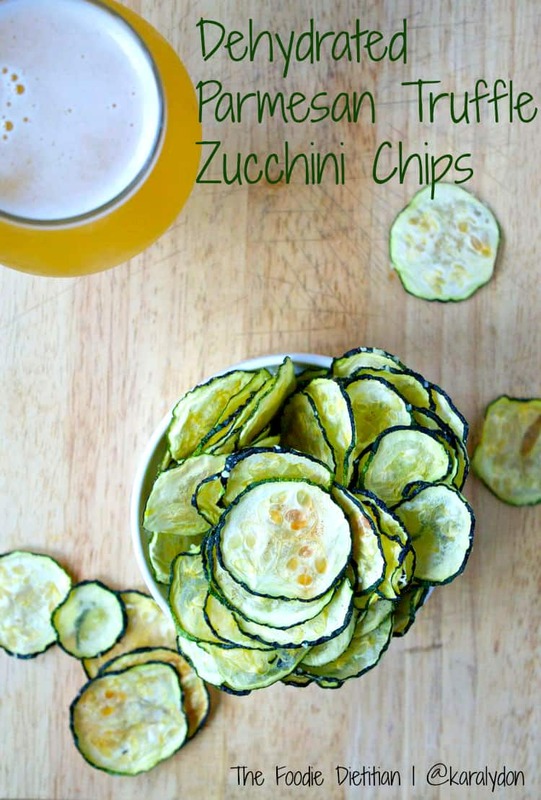 I am such a big fan of crispy zucchini! And now I’m an even bigger fan of these because of the truffle oil, yum! I just got my hands on some exquisite truffle oil from my recent trip to Seattle so I absolutely CANNOT wait to make this! Thanks, Kara! The simplicity is brilliant for a great tasting snack! Can’t wait to try it! Thanks so much, Jill! Let me know what you think if you try it! Very fancy pants, my friend. I like. Haha. Yes. Glad you feel me on the zucchini front. And the beer is non-negotiable with this recipe ;). 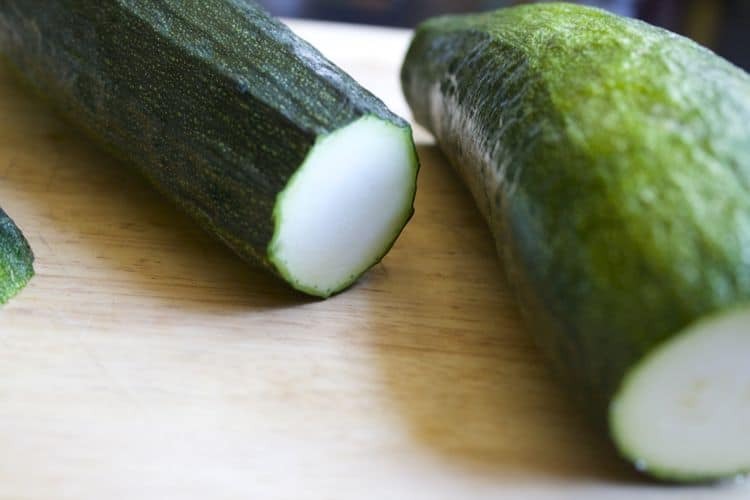 Let me know your thoughts if you try these – would be curious to know if it changed your outlook on zucchini. 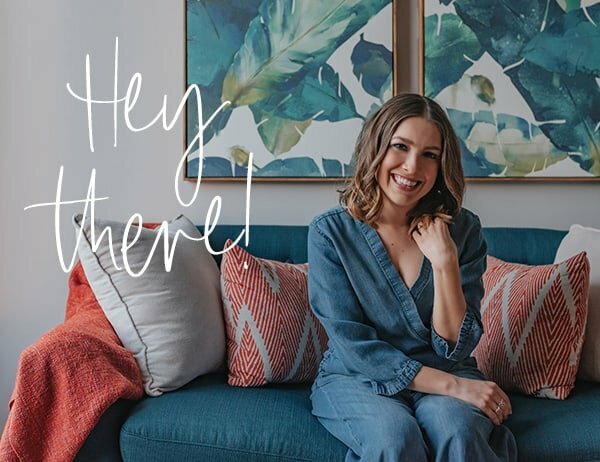 Hi Kara! I made these for my kids all summer last year. We grew zucchini in the garden so we had to find something they would enjoy often. They kids liked curry flavored ones the most. Hey Keyetta! So nice to hear from you! Hope you’re well :). I’ll definitely have to add curry to my list of flavors to try. Thanks for the reco! These do look very tasty! I’ve never tried zucchini chips. Thanks, Kelly! It was my first time trying them and was pleasantly surprised by how much I enjoyed them! 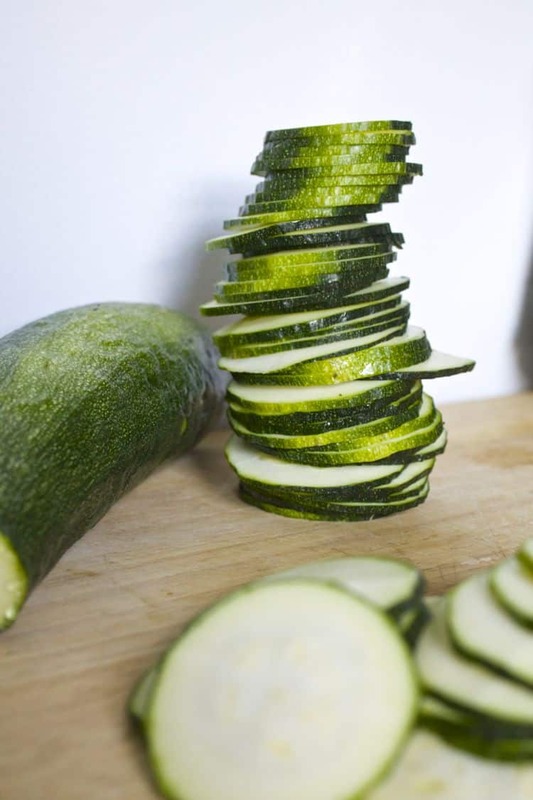 I love the stacked zucchini photo! 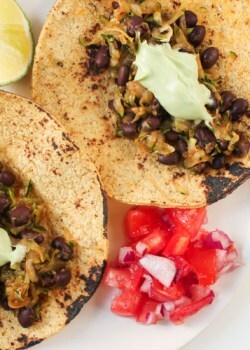 OH…I am totally making these! They look amazing! Thanks for posting Kara! Nice flavor combination and love your photos. Thanks so much, Lydia! It’s great to connect! Awesome idea, Kara! I would love to try these! Thanks, Lauren! If you try them, let me know how they turn out! 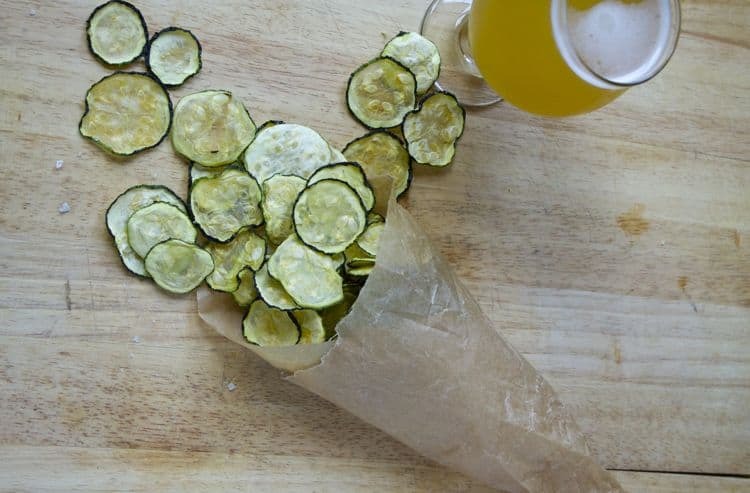 love you flavor combos… and all of your stacked zucchini rounds poker chip-style. pretty photos, kara! Um the parm!? I love! As someone also with a zucchini overload, I ended up doing squash chips too for tomorrow! Yes! Can’t wait to see your squash chips! Truffle oil? Those are the only words I need to hear. I’m usually not a dried veggie eater, but these sound amazing! These look so crispy and fabulous! How can you go wrong with the parm and truffle combo?! Also, how much do you love your mandolin? Isn’t it the greatest? Thank you, friend! I know, right?! I’m convinced parm & truffle can make ANYTHING taste amazing. Obsessed with the mandolin. Especially when it comes to veggie chips!